Our eCourse includes weekly video introductions from author James Howell, beautiful recorded renditions of Christmas songs, audio recordings of weekly prayers, all of the daily readings included in Howell's book, and a place for group discussion. Join James Howell and new or old friends in this rich remembrance for the Advent and Christmas seasons. Register alone, and you'll be entered in a group with others around the world who are taking this eCourse together. Join as a group of 5, 10, 15, or 20 and we'll open a private classroom for your group. Questions about the private classroom? Email us at urelearning@upperroom.org. 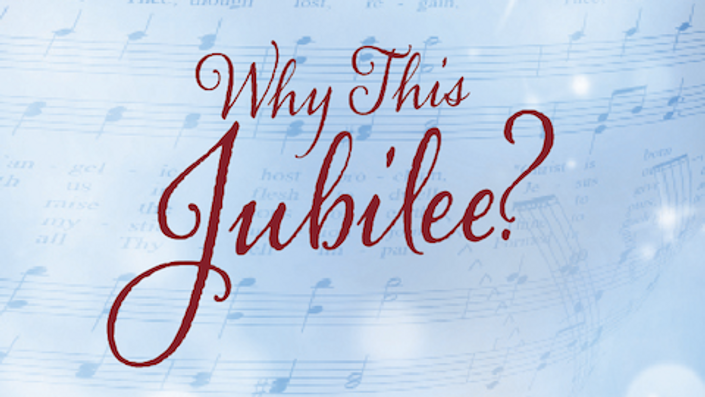 To purchase a print version of Why this Jubilee?, visit The Upper Room bookstore. Dr. James C. Howell has been senior pastor of Myers Park United Methodist Church since 2003, and has served churches in the Charlotte area for 25 years. He is a graduate of the University of South Carolina and Duke Divinity School, and has a Ph.D. from Duke. He has published a number of books, the most recent being Struck from Behind – My Memories of God. He serves on numerous nonprofit boards in the community, speaks frequently in Charlotte and around the country, and is an adjunct professor of preaching at Duke Divinity School. Quotable Quote: "I love to preach, and try to think a lot about the intersection between God's story and what's going on in the lives of people and our community and world." Fun Facts: Dr. Howell grew up in Columbia. He and Lisa Stockton Howell (her dad, Tom, pastored Myers Park United Methodist) have three children: Sarah, Grace and Noah. He bikes, loves books and movies, plays piano and played Captain von Trapp in a community theater production of The Sound of Music. Join here and you'll connect with people from around the world who are taking this course together. With this option, you'll receive 5 spots in a private online classroom just for your group. Inside the classroom, you'll have access to all readings, audio, and video that you'll need to complete the course. You'll also have a place for your group to post comments and questions to each other. With this option, you'll receive 10 spots in a private online classroom just for your group. Inside the classroom, you'll have access to all readings, audio, and video that you'll need to complete the course. You'll also have a place for your group to post comments and questions to each other. With this option, you'll receive 15 spots in a private online classroom just for your group. Inside the classroom, you'll have access to all readings, audio, and video that you'll need to complete the course. You'll also have a place for your group to post comments and questions to each other. With this option, you'll receive 20 spots in a private online classroom just for your group. Inside the classroom, you'll have access to all readings, audio, and video that you'll need to complete the course. You'll also have a place for your group to post comments and questions to each other.